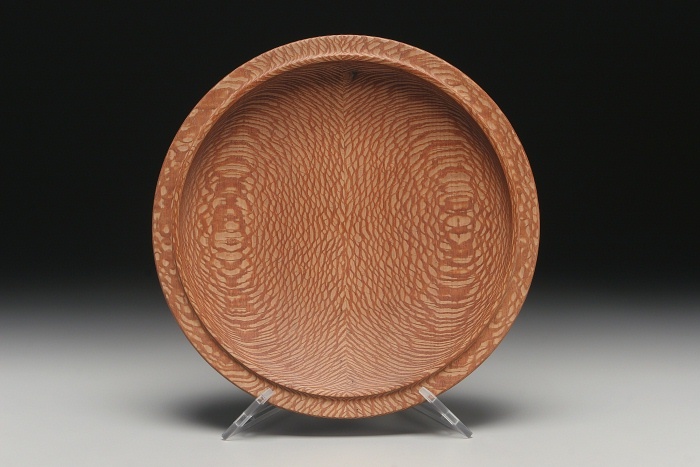 Every wood piece is carved on a spinning lathe – turned from a chunk of wet, green wood into a bowl or vessel that is satin to the touch and pleasing to the eye. The work starts with a log, often one salvaged from tree cutting operations. 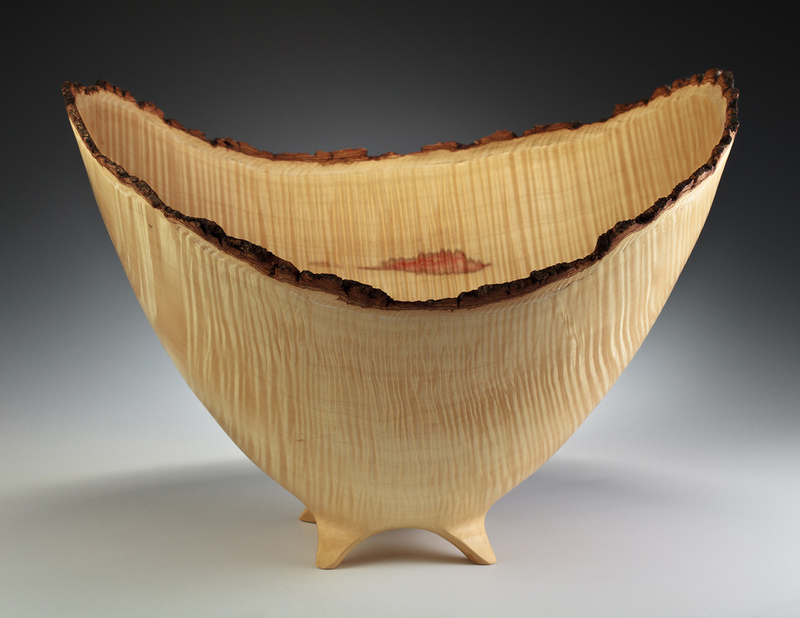 With a chain saw a chunk is cut from one end of the log, which is then mounted and rough-turned on the lathe using a long-handled tool called a bowl gouge. 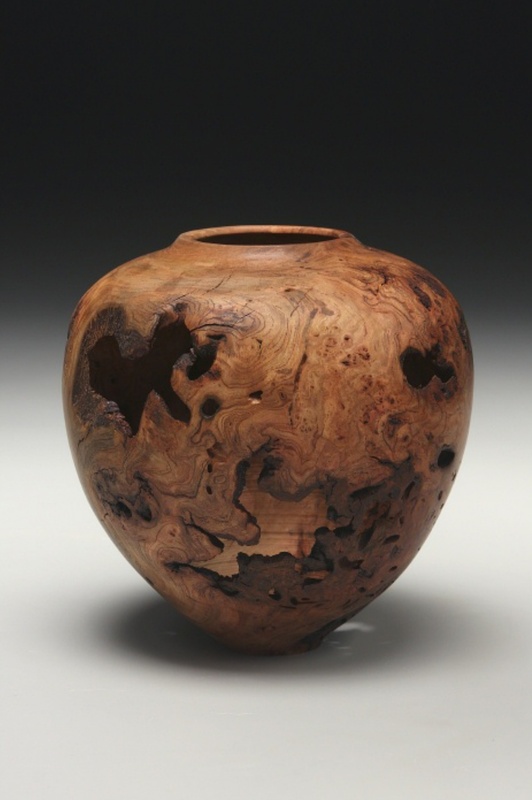 These rough-turned pieces are oversized to allow for movement as the wood dries. 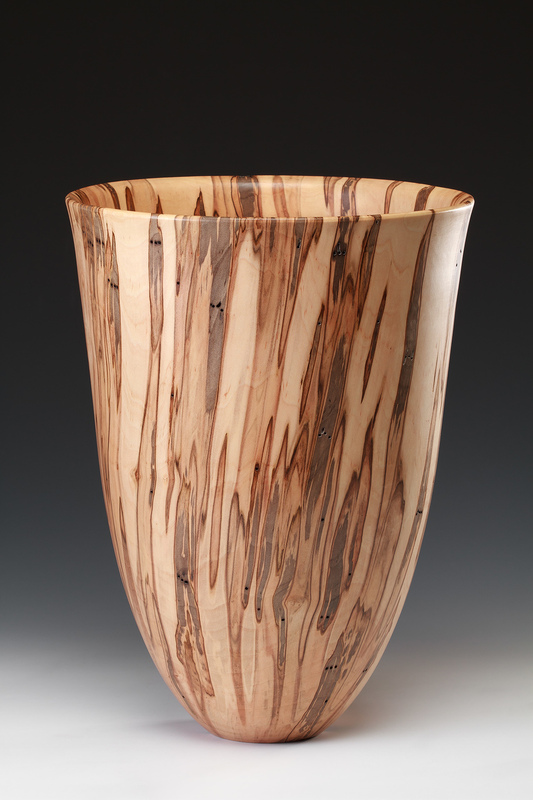 Most pieces are dried for several months before they are returned to the lathe and “re-turned” into the final shape. 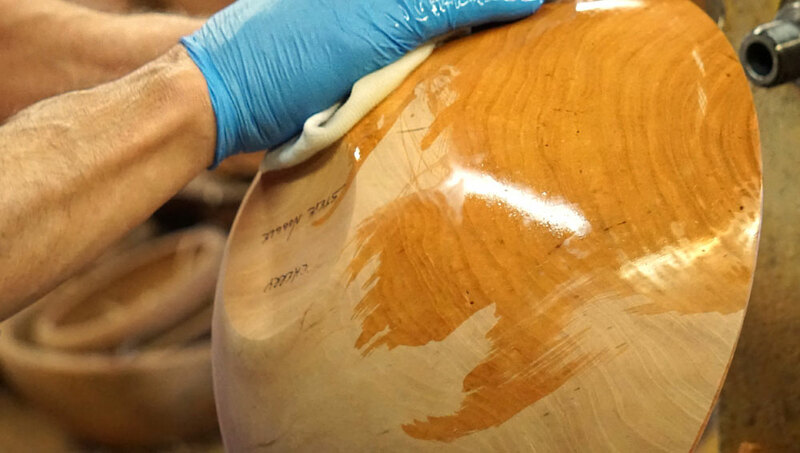 Each piece is sanded to a fine touch and finished with a hand-rubbed tung oil varnish. 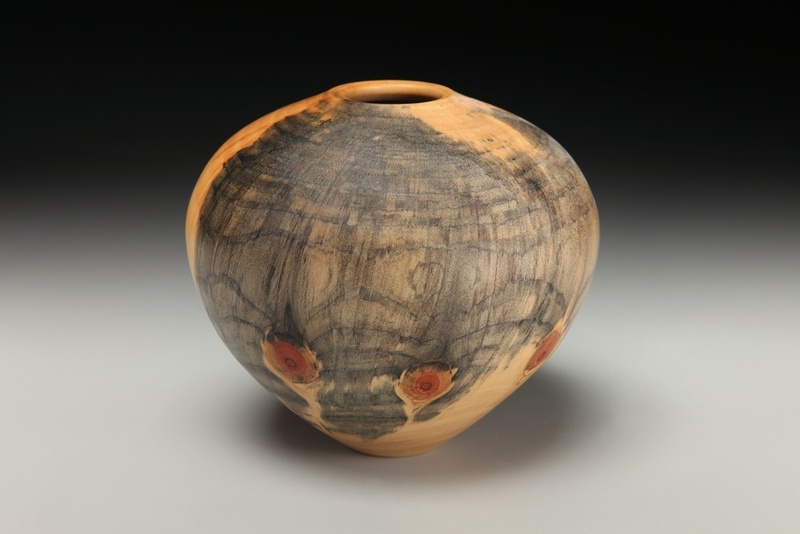 Some pieces, such as hollow vessels and natural-edged bowls, are completed in one turning. 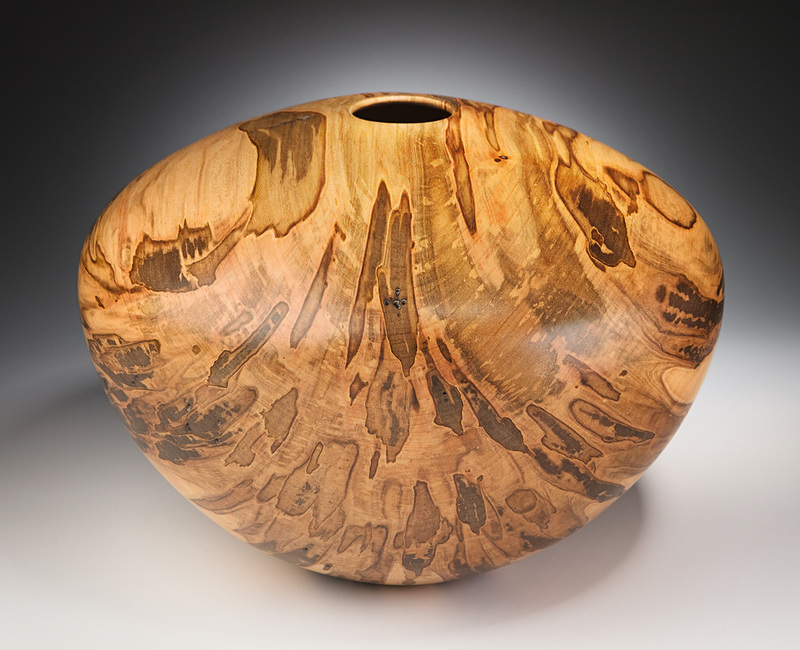 For these, the subsequent drying process sometime provides additional interest by creating asymmetrical or oval forms. 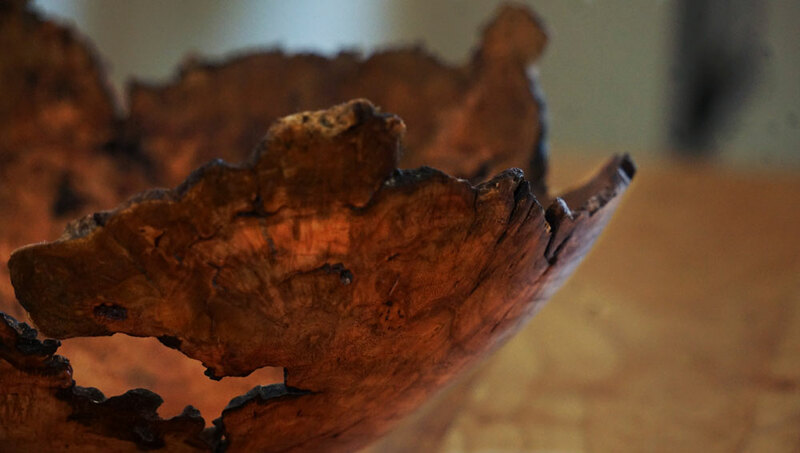 Almost all of my bowls and vessels are turned directly from the solid green log or burl cap. 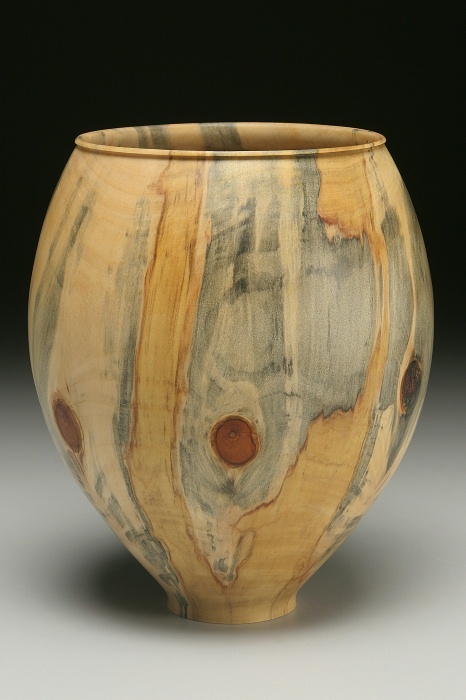 Occasionally, a bowl will be created using kiln dry stock, usually from an exotic wood source. 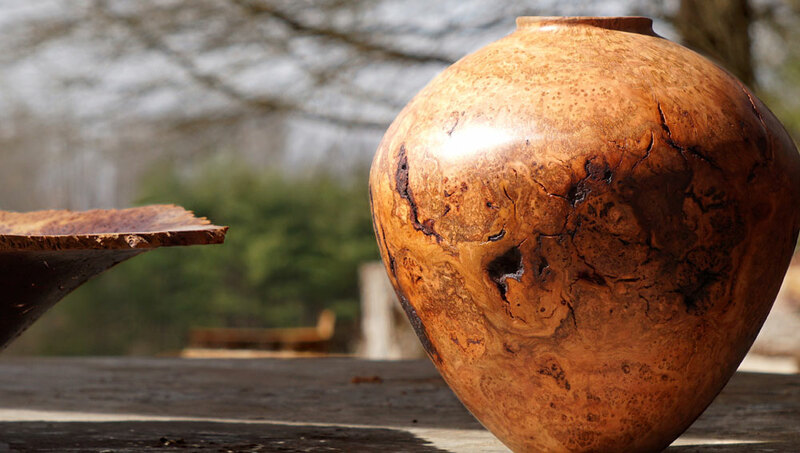 Favorite local woods found in North Carolina include maple, cherry and walnut, but occasionally I work with less-often-turned Southern hardwoods such as dogwood, mulberry, locust, or ash. 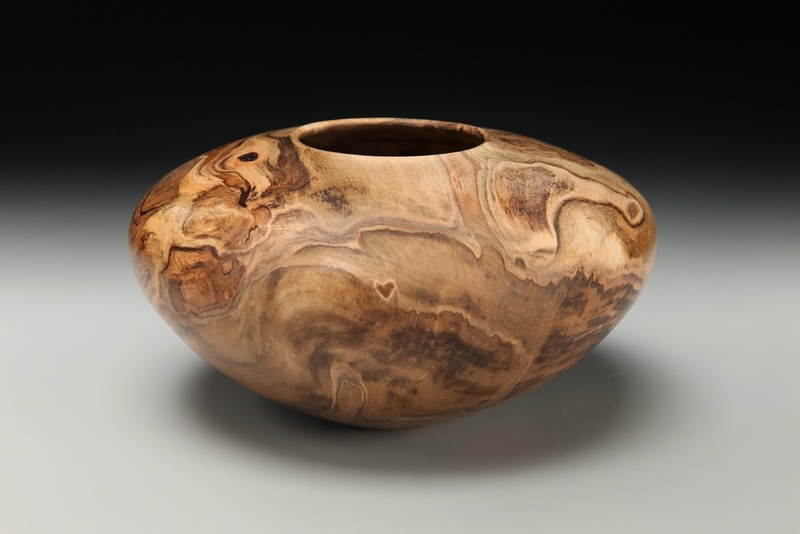 Burls, those deformed round growths sometimes found on the sides of trees, are of great value in woodturning due to their swirling, twisted grain patterns. 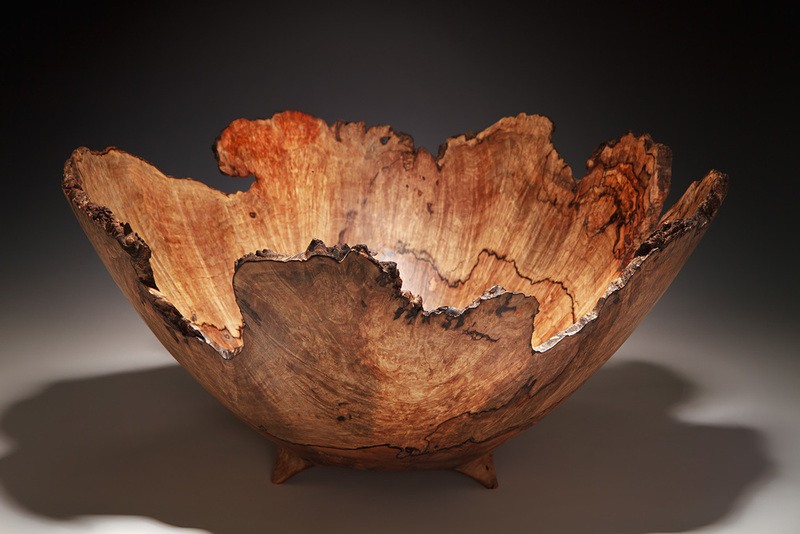 My most preferred burls are from maple and cherry trees and I often use the natural edge of the burl, bark included, for the open edge of the finished piece. 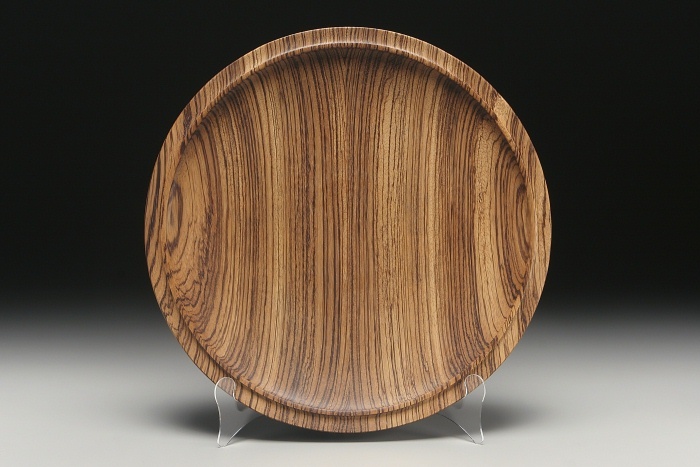 I also work with exotic woods from Australia, Africa and South America. 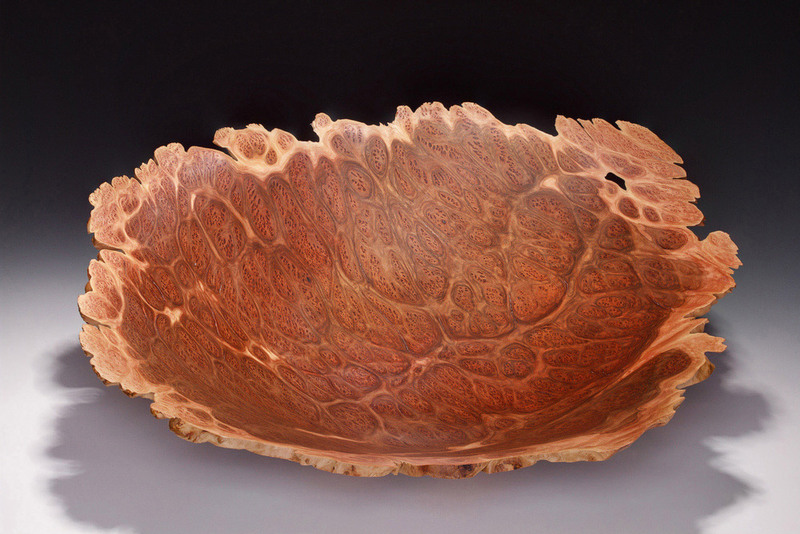 Though some of my wood pieces are meant for use as salad or fruit bowls, many more are simply created as artistic objects. 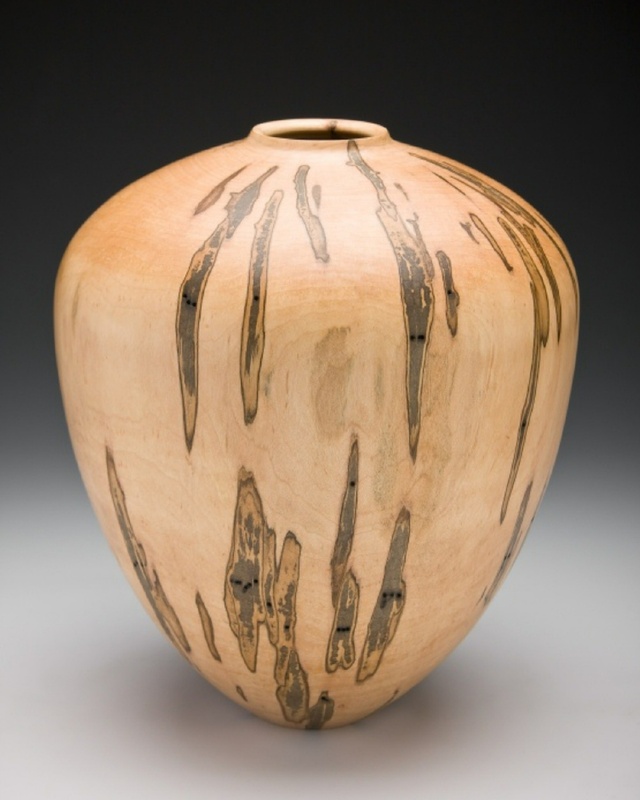 These include the hollow forms and the natural-edged pieces, which often have openings and voids created by insects or are figured with patterns created by spalting fungi or ambrosia beetles. 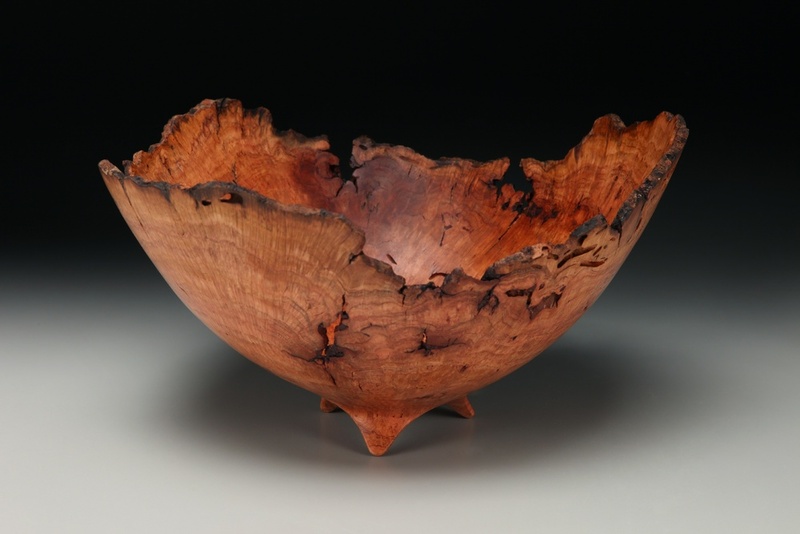 The choices I make while developing the shape of each wood bowl or vessel come from the patterns revealed inside the wood itself along with the form that flows from carving on a turning lathe. If you are interested in a particular style, please contact me regarding available pieces as all the pieces listed have been sold. 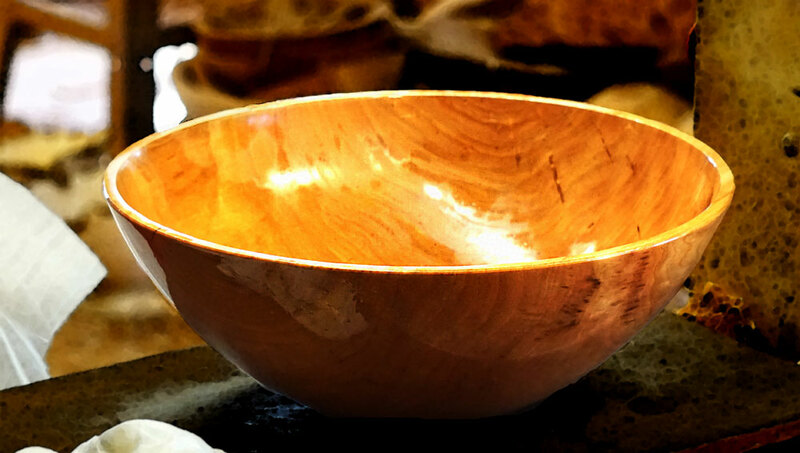 Each wood piece that I turn is unique and different from the rest and I'd be happy to discuss how I can create one especially for you or as a gift for someone else based on the different styles of my work. Please contact me here for more information.